If a fabric passes our rigorous tests, it achieves H2No™ Performance Standard status. 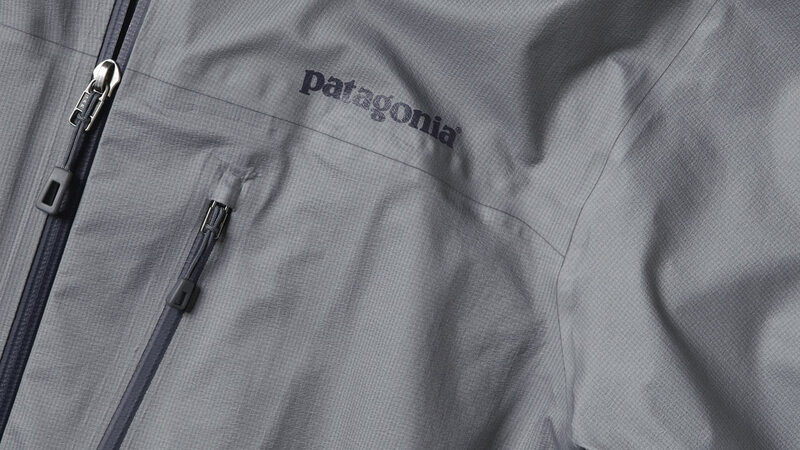 H2No™ Performance Standard is Patagonia’s benchmark for waterproofness, breathability and durability. Backed by our Ironclad Guarantee, H2No™ Performance Standard ensures the highest level of long-term waterproof performance. These products undergo the most rigorous testing in the industry. The H2No™ Performance Standard for waterproof shell garments is 20,000 MM before, and 10,000 MM after our Killer Wash test (per JIS L 1092 B). 2-layer H2No™ Performance Standard shell fabrics are completely waterproof, windproof and breathable. They combine a water-repellent shell fabric with a waterproof/breathable membrane. They also have an internal Taffeta or mesh lining for increased durability and next-to-skin comfort. 2.5-layer H2No™ Performance Standard shell fabrics are waterproof, windproof, breathable and highly packable. They combine a water-repellent shell fabric with a waterproof/breathable membrane and protective top coat barrier designed to allow the garment to be constructed without the need for an internal lining fabric. A distinctive raised print layer is applied for decreased surface tension and increased moisture management. 3-layer H2No™ Performance Standard fabrics are waterproof, windproof and breathable by virtue of an advanced combination of elements: a water-repellent shell fabric, a waterproof/breathable membrane, and an ultralight knit backer. The entire fabric package is highly packable, comfortable next-to-skin, and built to withstand long term exposure in extreme environments.